I have an exciting and BIG announcement! This last year has been a wild one for me. I have been juggling motherhood (my baby is one in August 2016), family and friends, teaching, blogging, TpT-ing, blogging for Oriental Trading, etc. My plate has been too full, but it's full with things that I love. Originally when I went back to work after having my son, I was really enjoying being a teacher and a mom (you can read my reflection here). I was able to keep my identity as a working mom, and I loved coming home to my little man. As the school year went on, it became apparent to us (my husband and I) that something had to give. I couldn't do it all. It's been disappointing that I can't balance everything gracefully, because like I said, I love all of my different passions/responsibilities. Then it happened. God literally paved the way for me to share a teaching contract with one of my real life best friends Layla from Fancy Free in Fourth. Did you notice her blog title? I will be teaching 4th grade with her! (ok don't freak out yet, let me tell you more!) I will work Thursdays and Fridays, and she will work Mon-Wednesday. We are BEYOND excited. This means I get to stay in the classroom, but have more time to raise my baby and work on my other projects. 1. She is the queen of inside jokes. 2. Her love language is giving gifts. 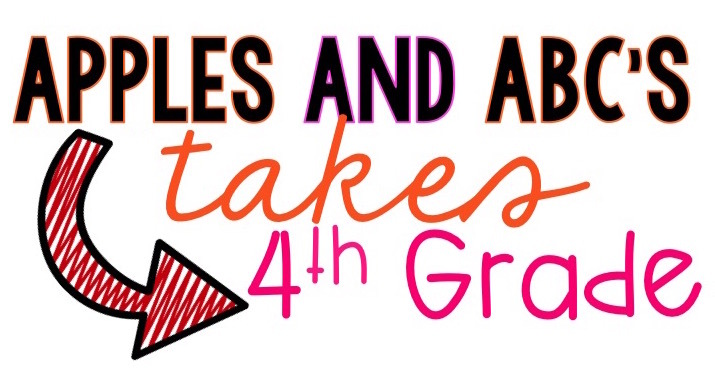 If you have been following my blog you might remember that I randomly taught 4th grade a couple years back. It was out of the blue, and I went right back to Kindergarten after that year. That one random year really made this shared contract possible. It gave me experience and credibility to step into Layla's classroom ready to teach and collaborate. This is one of the few times in life that I've been able to look back and recognize why things happened the way they did. I am really sad to leave Kindergarten, but I know it is only temporary. And I am excited to sacrifice my love for kinder to get to spend more time with my little man. So what does this mean for my blog? I plan on actually having time to share content! I have a laundry list of blog posts I never had time to write, and well as resources that never made it to TpT. You can expect to still see primary ideas, but I'm sure 4th grade ideas will slip through as well. Thank you for taking time to read my blog and staying with me through life's transitions. Don't worry Kindergarten, I'll be back. So happy for you! Sounds like a dream come true! Congratulations! This is something I'm really curious about, so do you mind sharing how it looks? For example, will you both teach all subjects? We start planning next week, so I'm not sure! i am waiting for change in change year.